WELCOME to LEVEL 6 Up with the big guns! Dogs in this class are capable of competing in Open working tests or entering field trials. 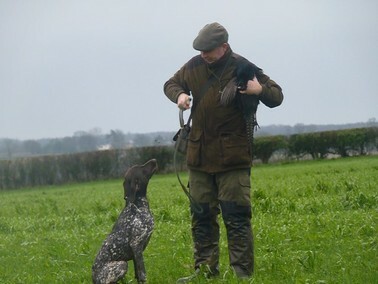 You now just put into practice all that you have learnt previously, everything will just be harder and over greater distances, you will be expected to retrieve dummies and any type of game. You may also be introduced to tracking a blood scent. Split retrieves will become double/treble and even quadruple blinds as you would be expected to do this while picking up on a shoot day. GOOD LUCK & ENJOY At least there is no assessment !